Armen helped me buy my first apartment which was a co-op on the Upper West Side. Very responsive, trustworthy and helpful through a very stressful purchase!Have recommended Armen to other friends, he was a pleasure to work with. Armen weighs in on a real estate project with a healthy array of experience. He’s been involved in sales of condos, coops and homes that give him the kind of wisdom I need. He’s able to see things from angles that I haven’t thought about and his advice is valuable. I have asked him to work for my family and friends multiple times and their feedback was the same. He’s a great agent and gives trustworthy advice! Armen stepped in and helped us sell our beloved one-bedroom apt on Riverside Drive. While our apt itself is great, there were some obstacles regarding financing in this particular building partially due to the large number of sponsor units. Armen identified financing alternatives for the prospective purchasers, and negotiated a good price. He also kept in contact with us throughout the process. I would recommend him. Friends, I finally closed on the sale of the Jackson Heights apt! If you’re thinking of buying or selling, I cannot recommend my broker Armen Meschian enough. Onward! Technology Centric, Strategy, Process and Operations Management Leader. “Armen is truly professional at what he does and is totally committed to his clients, whom I would recommend to anyone. 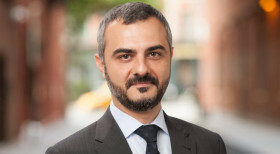 “I have had the pleasure of working with Armen over the years and have always been impressed with his comprehensive understanding of the New York Metro Area Real Estate Market. Armen works tirelessly to provide his clients with listings that fit their parameters; he spends countless hours researching, visiting, and cultivating relationships with perspective sellers, and other agents, so that he can effectively find homes that fit his client’s needs. Armen takes great care in his work, and I recommend him without hesitation for all of your real estate needs. 1st Raffi Asatoorian, Owner, RVA Consulting Inc.